Dr. Bingham’s research interests are focused on identifying clinical and pathophysiologic disease phenotypes for inflammatory arthritis including rheumatoid arthritis (RA), psoriatic arthritis (PsA), and osteoarthritis (OA). His career has spanned from the bench to the bedside. His initial research was focused on laboratory-based studies evaluating mechanisms of cytokine regulation of eicosanoid biosynthetic pathway enzymes. He then transitioned to a clinical- translational research focus with extensive experience in the design, conduct, and analysis of clinical trials of new therapies for RA, OA, and other autoimmune diseases. He is a member of the Executive Committee for the international Outcome Measures in Rheumatology Clinical Trials (OMERACT) group. He was a member of the international group that revised the classification criteria for RA, permitting the diagnosis of earlier disease to facilitate treatment with disease modifying agents. 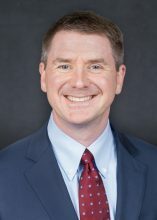 His current research focuses on defining clinical and biochemical disease phenotypes related to therapeutic responses in RA and OA, developing rational clinical trial designs to test new treatments, improved patient-reported outcomes and clinical outcome measures, novel imaging modalities for arthritis, and oral health in inflammatory arthritis. He has authored more than 130 original articles, reviews, and editorials, 12 book chapters, several topics in UpToDate in Medicine, and numerous abstracts. A listing of some of these publications can be found by clicking on this link. He has been active in ACR and Arthritis Foundation committees and has chaired meetings, study groups, and grant review sections.